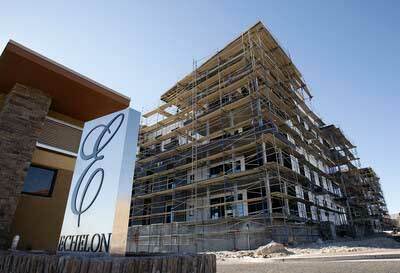 Echelon condos at Centennial Hills in North Las Vegas has construction progressing. The concrete and steel structure, for one of the six luxury mid rise condominium buildings, by Steve Aizenberg, real estate developer, is complete. The real estate developer has combined the urban high rise living from San Francisco, CA. Convenience is at the forefront of Echelon’s amenities.